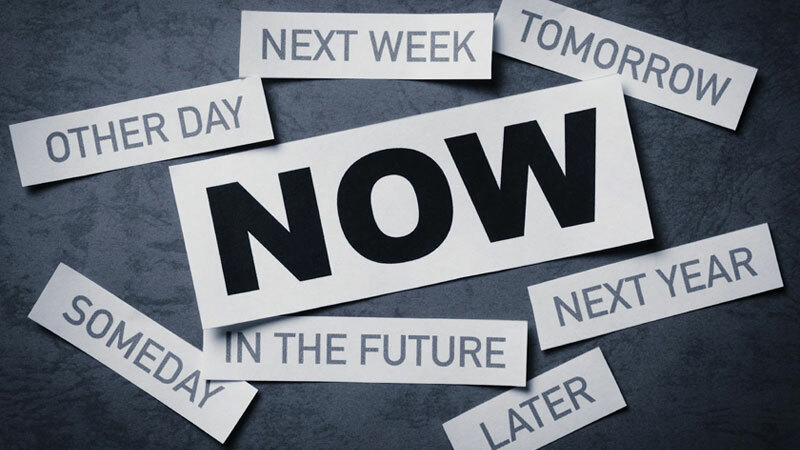 We have all heard that “procrastination is the thief of time,” and “don’t put off ‘til tomorrow what you can do today.” And yet, we all procrastinate. Then we beat ourselves up for doing it. 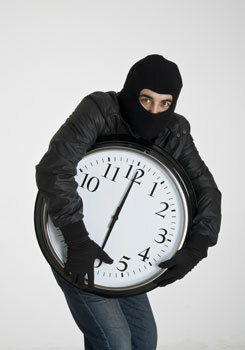 Even on our busiest days, we almost always put off some things and waste valuable time. Why do we do it? Is it possible not to procrastinate? Newton’s first law of motion may be one part of it. “A body at rest tends to remain at rest…” There is something challenging about starting. For example, many of us have experienced staring at a blank page and not knowing what to write. When Ruth Toor and I use to write The School Librarian’s Workshop, we sometimes agreed to write badly just to get started. Apparently, my limbic system loves to play Klondike, but there is work to be done. What is necessary is to find some balance, giving ourselves some time for procrastination but not so much that we find we are scrambling to meet deadlines. It helps to know yourself. What tasks are you most likely to put off? Which ones do you get to with no problem.? I teach an online course for pre-service school librarians. I love starting my day checking my university email (not many messages), reviewing my students’ posts on the Discussion Board, and grading their papers because I enjoy the “conversation” with them. I am more likely to put off starting this blog. As with all writing, it requires a degree of creativity. And again, there is that blank document staring at me, waiting for me to put something on it. Maybe if I play one more game of Klondike, I will know where to get started. Or I can look at my Gmail account….. Guess what? That never really works. It’s usually the bigger more serious tasks we put off. Partially because it is big. Sometimes it carries with it an element of uncertainty. We don’t know exactly how to get it done. And then there is the low-level (or high-level) fear of failure, so our ego protects us by avoidance. What we need are strategies that get us past that “body at rest” stage and the sudden desire to see if there is anything important in your email or on social media. The internet has loads of articles on the topic. 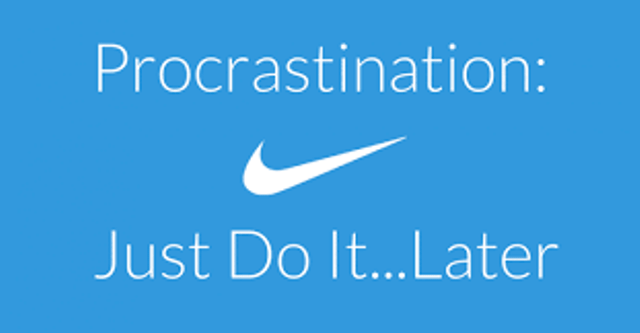 Business is always concerned by this issue since procrastination reduces productivity. Of all the ones I looked at, I found that MindTools offered the best suggestions on How to Stop Procrastinating: Overcoming the Habit of Delaying Important Tasks. The first two steps, Recognize You Are Procrastinating, and Work Out WHY You Are Procrastinating are important, but easy to get clarity. 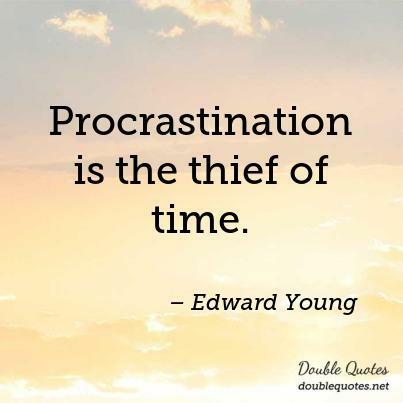 I think most of you know when you are procrastinating, and the why’s are usually connected to fear, uncertainty, newness, levels of importance and our own insecurities. The clearer you can get on the why, the easier these next strategies will be for you. Forgive yourself for procrastinating in the past – As you notice you are procrastinating, don’t start beating yourself up. That will just spiral you down. Tell yourself what you are doing and then move on to the task at hand. Commit to the task – Write it down. If you keep a To-Do list, it’s already there but give yourself a realistic amount of time to work on it. When it’s a writing task, I vary between giving myself a certain amount of time or a number of words. Very often I exceed what I set which gives me a boost. Act as you go – It’s easier to get a task done as soon as it’s given. 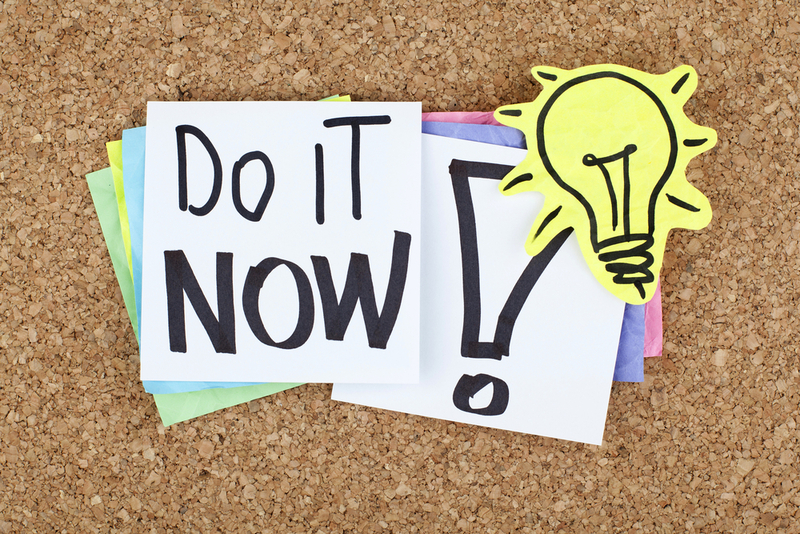 Back to “Don’t put off until tomorrow ….” First determine the priority, however. Don’t do something that will cause you to put off something that should be done now. Rephrase your internal dialogue – This is about mindset. If you are thinking, “I have to…” you are taking on a burden. Instead, say “I want to …” or “I choose to….” When we notice how our actions support us, it becomes easier to follow through. Minimize distractions – Oh, there are so many of these. Put your phone away so you don’t get distracted by incoming messages. If you have a television on, turn it off. Work on a desk with no computer. If you can, turn off your social media and email. And when your favorite procrastination behavior surfaces, remember fact that it’s normal. Take a breath, refocus and get on with the tasks that will help you feel great at the end of the day. There will be time for Klondike (or Candy Crush, or Words With Friends…) later.